We’ve all read and heard about how exercise can dramatically boost our quality of living, but how many people actually take action? Very few. Less than 20% of Americans over the age of 18 meet the official recommended guidelines. 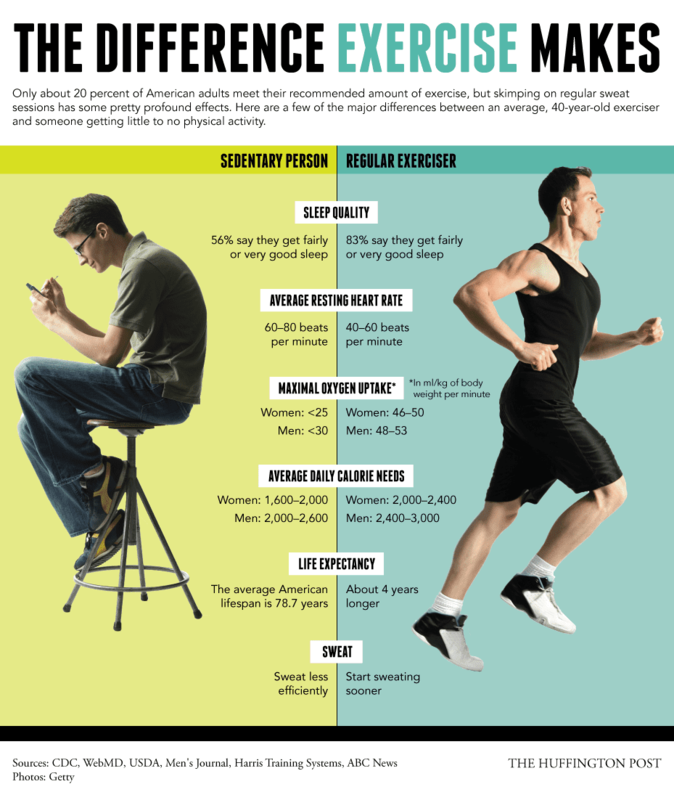 This is really alarming, because what most people don’t know is that mild exercising has fantastic returns, similarly to the 20/80 rule – namely 20% of your input (energy) returns 80% of the output (health benefits). For instance, a study published in the American Heart Association journal Stroke found that regular exercising reduces the risk of developing dementia by 40% and all cognitive impairments by 60%. And this is just one of the many added benefits. The researchers followed 639 people between 60 and 80 years of age. Some 64% said they were active at least 30 minutes a day three times a week. This included gym classes, walking and biking. The American Heart Association recommends at least 150 minutes of moderate exercise every week or 75 minutes of vigorous exercise for optimal health. Researchers performed magnetic resonance imaging (MRI) tests at the beginning and end of the study to gauge white matter changes in the brain, an indicator of possible cognitive decline, in addition to surveying the participants asking them about depression, quality of life and performing everyday activities. At the end of the follow-up, 90 patients had dementia, including 54 with vascular dementia in which impaired blood flow to the brain causes cognitive decline, and 34 patients met criteria for Alzheimer’s disease. Another 147 patients developed cognitive impairment, but not dementia. This is the latest in a series of studies that show exercising promotes brain heath. Besides better brain health, exercising has been found to increase bone mineral density by as much as 2 to 8 percent a year, reduce the risk of contracting heart-related diseases, better sweat response, higher oxygen intake capabilities and more – overall, exercise helps you live a longer and better life and it’s never too late to start!